Hypertension disease , high blood pressure or arterial hypertension is a common medical condition wherein the pressure in the arteries is elevated. It is a chronic condition which puts stress on the heart and if left untreated, may lead to heart disease, aneurysms, coronary artery disease and stroke. Blood pressure is determined by the amount of heart pumps against the arterial wall. The more blood the heart pumps and the higher the resistance (narrower arteries), the higher the pressure. Thus, high blood pressure literally means the force of the blood against the arterial wall is high. Blood pressure is determined by two measurements: Systolic, is the numerator, which happens when the heart muscle is contracting. Diastolic, is the denominator, which happens when the heart muscle is relaxed. This is also equivalent to the maximum and the minimum pressure respectively. Normal blood pressure at rest is systolic below 120mmHg but greater then 80mmHg and diastolic greater than 60 but below 90mmHg. 140/90 or 130/100 is considered as high blood pressure. Hypertension can be categorized as either it is primary which means that no obvious underlying medical cause, or secondary which is caused by an identifiable cause such as the kidneys, arteries (congenital), endocrine (e.g. adrenal gland tumors, thyroid problems), obstructive sleep apnea, illegal drug use such as cocaine or amphetamines. Primary hypertension is also called as the essential high blood pressure. It comprises majority of the cases, about 90-95% and tends to develop gradually over many years. If left untreated or uncontrolled, this may lead to hypertensive emergency resulting to progressive end organ dysfunction. The exact cause of hypertension is unknown. Hypertension results from a complex interaction of genes and environmental factors. In almost all population, blood pressure rises with aging and the risk of becoming hypertensive later in life is higher. 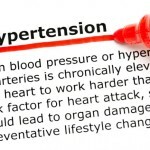 Secondary hypertension results from other underlying conditions. This can be due to kidney disease, obstructive sleep apnea, obesity, pregnancy, coarctation of the aorta, endocrine conditions, such as Conn’s syndrome, Cushing Syndrome, hyperthyroidism, hyperaldosteronism, hyperparathyroidism, acromegaly and pheochromocytoma. Other causes include excessive alcoholic intake, smoking, certain drug prescription and illegal drug use. Renal cause is the most common cause of secondary hypertension. There are many risk factors of high blood pressure. Non- modifiable risk factors include age, race, family history. Modifiable risk factors include physical inactivity, high sodium diet, low potassium diet, tobacco use, stress, obesity, chronic use of alcohol. High blood pressure tends to run in the family and men have higher risk than female. In the United States, blacks are twice as likely as whites to develop hypertension. Essential hypertension is greatly influenced by food intake. Most people with hypertension are salt-sensitive. This means that taking more than the minimal bodily needs for salt is too much for them and increases their blood pressure. So cutting down on salt intake is crucial in treating patients with hypertension. There is a common misconception that people with high blood pressure will experience signs and symptoms such as headache, nosebleed, dizziness, nape pain, facial flushing and nervousness. In reality, high blood pressure is an asymptomatic condition. If you are waiting for the symptoms to appear or ignore your blood pressure thinking symptoms will alert you to the problem, then you are taking a dangerous risk with your life. Except perhaps in the case of hypertensive crisis, high blood pressure itself does not cause headaches. Studies have shown that people with high blood pressure seem to have significantly fewer headaches than compared with the general population. Studies have shown that people with higher systolic blood pressure were up to 40 percent less likely to experience headaches as compared to those with normal blood pressure. This study also measured the pulse pressure, which is the pressure change when the heart contracts. This is calculated by subtracting the diastolic (denominator) to the systolic (numerator) pressure. They noted that people with higher pulse pressure had up to 50 percent fewer headaches. People with higher pulse pressure have stiffer blood vessels and the stiffer the blood vessels, the less likely the nerve endings are functioning properly, hence the less likely a person will experience pain. As with headaches, except in the case of hypertensive crisis, nosebleed or epistaxis is also not a reliable indicator for high blood pressure. In another study, 83 percent of people treated for high blood pressure in the emergency room have no nosebleed. However, it is also noted that some patients experience more nosebleed than usual in the early stages of high blood pressure. One should also note that nosebleeding can be caused by various factors. These include dry air, trauma, anticoagulants and some medical conditions like allergy. Hypertension is diagnosed using a blood pressure test. This should be taken at several times to confirm that one really has high blood pressure. The test is easy and painless. Before taking the test, don’t drink coffee, or smoke cigarettes for 30 minutes. Sit and relax for 5-10 minutes before the test. Movements or eating can cause short term rises in blood pressure. Hypertension is diagnosed when your blood pressure is greater than 110 mmHg systolic or greater than 80 mmHg diastolic. Pre hypertension has a blood pressure ranges 120-139 mmHg systolic or 80-89mmHg diastolic. If you are diabetic or chronic kidney disease, a blood pressure of 130/80 mmHg or higher is considered high blood pressure. The excessive pressure in your artery walls puts extra strain on your heart and vessels damaging your blood vessels as well as the organs in the body. The higher the blood pressure and the longer it goes uncontrolled or untreated, overtime this huge pressure can lead you to heart attack, stroke and kidney disease. High blood pressure causes stiffening or thickening of the arteries, called atherosclerosis leading to stroke and heart attack. Thickened arteries causes burden to the heart. In order to pump blood against higher resistance, the heart muscle thickens. The thickened heart muscle may have a hard time pumping enough blood to meet your body’s needs. Overtime, this leads to heart failure. 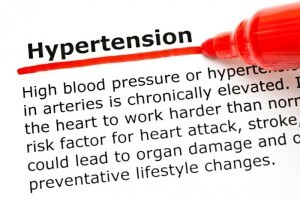 Increased blood pressure can also weaken your blood vessels and bulge forming an aneurysm. Aneurysms are fragile and if it ruptures, it can lead to internal bleeding and is life threatening. Uncontrolled hypertension are patients with inadequately treated blood pressure due to poor adherence or inadequate treatment, as well as those with true resistant hypertension. This is not synonymous with resistant hypertension. High blood pressure causes thickened and narrow blood vessels in the organs, particularly the eyes and the kidneys. This prevents these organs in functioning properly. Hypertensive retinopathy is characterized by a series of retinal vascular signs in people with high blood pressure. Initially, there is general narrowing of the retinal arteries, vasospasm and increase in arteriolar tone Persistently elevated blood pressure leads to disruption of the blood-retina barrier, exudation of blood and lipids, necrosis of the smooth muscles and retinal ischemia. These changes are manifested as hard exudates, cotton wool spots and swelling of the optic disk. In the kidneys, the preglomerular arterioles are primarily affected leading to ischemic changes in the glomeruli and postglomerular structures. This can be due to direct injury to the glomerular capillaries due to hyperperfusion which can progress to glomerulosclerosis if left untreated. Patients with kidney disease may experience swollen ankles, easy fatigability, shortness of breath, blood in urine. Uncontrolled high blood pressure also damages the brain, affecting your ability to think, learn, analyze and remember. Hypertension is associated with impaired memory and cognition. Hypertension is also associated with metabolic syndrome. This syndrome is a cluster of disorders of your body’s metabolism. This includes high triglycerides, low high density lipoprotein, increased waist circumference, high insulin levels and high blood pressure. The more components you have listed above, the greater your risk of developing diabetes, stroke or cardiovascular disorders. The main goal of treatment is to keep blood pressure controlled. For most adults, this should be kept below 140/90 mmHg. For patients with diabetics or kidney disease, blood pressure should be kept below 130/90 mmHg. Lifestyle changes can go a long way toward controlling high blood pressure. These habits include eating a healthy diet with less salt, limit alcohol, being physically active, quit smoking, maintaining a normal BMI (body mass index) and stress management. Eating a healthy diet focuses on more fruits and vegetables, low fat dairy products, fish, poultry, whole grains, nuts and foods that are low in fats, salt, sugar and cholesterol. As hypertensive individuals are more sensitive to salt, salt intake should be limited to no more than 1 teaspoon a day. Regular physical exercise can also lower blood pressure and help you maintain or reduce your weight. If you are overweight or obese, aim to reduce 5 to 10 percent during the first year. This is important because the amount of weight loss can help you reduce your health risk related to high blood pressure. Normal BMI ranges between 18.5-24.9. BMI between 25-29.9 is considered overweight while BMI over 30 is considered as obese. Smoking also contributes to high blood pressure. This damages your blood vessels and raises your risk of coronary artery disease. Secondhand smoke is even worse. Try to quit smoking and avoid secondhand smoke. Lastly, stress management is very important. Learning how to relax and manage stress can improve your overall emotional and physical health. Some individuals can control their blood pressure on lifestyle changes alone, however sometimes, despite how hard you try, lifestyle modifications are not enough. At this point, your doctor may prescribe medicines as part of your treatment of hypertension. If your doctor prescribes medicine, continue your healthy lifestyle and with these together, they will help you better control of your blood pressure. Today’s antihypertensive medicines can safely help most individuals control their blood pressure. If you have any allergies or experienced any side effects, talk with your doctor. He might adjust the doses or prescribe other medicines. Antihypertensive medicines work in different ways to lower blood pressure. These are sometimes referred as water pills. They act on your kidneys to help your body flush out excess water and salt, reducing blood volume thus lowering blood pressure. Diuretics are usually combined with other anti-hypertensive medicines, usually a calcium blocker or a beta blocker. Beta blockers reduce the workload of the heart and open your blood vessels, helping your heart to beat slower and with lesser force. This helps your blood pressure to go down. This drug is more effective when combined with other blood pressure drugs, often a diuretic. Angiotensin is a hormone that normally causes blood vessels to narrow. ACE inhibitors block the formation of this hormone thus has an effect of relaxing blood vessels, thus lowering your blood pressure. People with chronic kidney disease benefit from ACE inhibitors. This group of medicine blocks the action of angiotensin thus relaxing the blood vessels, lowering blood pressure. People with chronic kidney disease benefit from ARBs. Calcium channel blocker relaxes the muscles of the blood vessels by blocking the calcium from entering the cells of your heart and blood vessels. This results in relaxation of the blood vessels, thus lowering blood pressure. Renin is secreted by the juxtaglomerular kidney cells which sense the changes in renal perfusion pressure. It converts angiotensinogen to angiotensin I and starts a cascade of chemical steps that increases blood pressure. Renin inhibitors block the conversion of angiotensinogen to angiotensin I. Renin inhibitors should not be taken with ACE inhibitors or ARBs due to risk of serious complications like stroke. Alpha blockers relax nerve impulses thus allowing more blood to flow more freely causing blood pressure to go down. This group of drugs relaxes the muscles in the walls of the blood vessel, thus lowering blood pressure. This has the combined effects of both alpha- and beta- blockers. They reduce nerve impulses to blood vessels as well as reduce the amount of blood that must be pumped through the vessels. Drink more than 8 glass a day. Eat less oil and less flavor.